Desultory Thought | A blog about life. This unofficially goes with my series, if you will, on “How to Lose Weight While Obese and In Pain“. While I haven’t yet started writing about my “diet”, I have started to change the way I eat. This actually started a bit before I even joined a gym. Regardless of what or why, it eventually gets eaten. Naturally, that also means that temptation is lurking around constantly when I am at work. It’s bad enough to walk into a store or restaurant and not grab something I know I shouldn’t, but when it’s around me 8 hours a day… Sheesh! To make matters worse, I have a slight oral fixation where I always like having something to chew or crunch on (meaning having “a handful” of something doesn’t always work for me). If only ice wasn’t bad for your teeth! One day, I bought a bag of sunflower seeds on a whim, for no other reason except that I like them. What I didn’t expect was to figure out just how well sunflower seeds worked as a snack for me. I have this eating theory – basically if you had all your day’s food in front of you somehow (excluding temperature, storage and convenience issues), you could technically eat it however you wanted, at whatever times you wanted. Right? Using the calories in, calories out way of thinking, you could measure out 2,000 or so calories and you could spend the entire day eating if you so chose. At the end of the day, it would still be the same number of calories. Well, I feel the same goes with a serving of sunflower seeds. An approximate serving of sunflower seeds is a few tablespoons or, about 1/4 cup. In a 1/4 cup serving, there are around 170 calories (and lots of nutrients). Now, I could toss them all in my mouth in a few pinches and be done with it. But that’s not the way I eat! I play with my food! Wait, I mean… I… No, I guess I did mean that. This may sound a little OCD but I loved to take a single (hulled) sunflower seed, bite off the pointy edge, pull the skin off of it with my teeth, separate the two halves, and then eat it like that. Now, imagine doing that for almost every single seed in a quarter cup and you will understand why I sometimes couldn’t even finish 1 serving of sunflower seeds in a whole, 8 hour workday. What’s that got to do with the office snacks, you may wonder? Simple. My mouth was so busy pulling apart individual sunflower seeds that I didn’t care so much about the cookies, chips or other things that might be available. Yes, I still gave in at times, but on the whole, I was much less susceptible. Should I have just exercised more discipline, instead of creating a substitution? Sure. But it’s more important to me to not be so tempted than to pretend that I have more discipline than I really do. So what’s another way to make the most of my snacks? Making snacks out of things that typically aren’t! Beans, beans, the musical fruit… The more you eat, the more you… Have difficulty finding new and exciting ways to prepare them? Outside of chili, I’m not a big fan of beans. OK, maybe chili and split pea with ham. Navy beans with ham. White beans with ham. I guess that means (insert bean here) and ham, eh? That, and mushed into a paste mixed with far too much sugar and rolled into a mochi. Anyway, I know they are super good for you, high in fiber and other nutrients, and everyone should eat more of them. But they are just so mushy! I don’t like the texture of them at all, except as stated above. Insert garbanzo beans (aka chickpeas). These are mushed into a paste and turned into hummus, which is delightful, but otherwise they too are still just a bean. Roasted Chickpeas to the rescue! I found a recipe (or several) for roasted chickpeas and got intrigued. It is one of the simplest recipes ever. Now for the complicated cooking methods! Rinse beans to get rid of the starchy can water. Dry beans thoroughly (either by draining or with paper towel). Place beans in a single layer on a cookie sheet. Toss in olive oil and seasonings. Bake at 400F for 30-40 minutes (mine took about 35). Let cool and store at room temperature. You can add more seasoning after they are done if you want. These can be made sweet, spicy, salty, herby, whatever you want them to be. They still taste a little like a garbanzo bean, and I suspect that beans not from a can would be even milder, but for the most part they no longer look or taste like a bean. Actually, from a distance, they look to me like Reese’s Puffs cereal. That said, this is a high fiber snack with a crunch similar to one of the generic Corn Nuts knockoffs. Another amazing, high fiber snack with technically less preparation and no cook time? If you’ve never tried jicama (also called yambean or Mexican yam), it looks like a piece of raw potato, but it has a mild sweetness and a crisp bite similar to a water chestnut. It’s also low in calories, high in fiber, and has a low glycemic load. It’s a great, crunchy and tasty vegetable to “mindlessly” snack on. No preparation is needed other than to slice off the outer skin. Only the white inside is to be eaten. Apparently the skin is toxic. So there you have it – 3 of my current favorite snacks that don’t require any dips to be great and only one requires refrigeration. Obviously carrot sticks or baby carrots and celery sticks are also great, sugar snap peas, etc. But these are the crunchy, simple snacks that I can just grab a bag of and start munching. What about you? What sort of simple and healthy snacks do you munch on? What helps you steer clear of temptation? I’d love to hear about it in the comments! I’m sure you’ve heard, but if not, you have now. Again with the standard disclaimer – this is personal advice based on personal experiences, not to be construed as medical advice, consult your doctor first, etc, etc. Please use common sense. The passing of my friend’s mom has definitely motivated me more. It’s not just about living to see retirement though, it’s about quality of life. My own mother has several health problems and she is still not 65 yet (thankfully, that day comes very soon). She can walk, but not for very long at a time without pain. She gets tired easily. She has enough energy and ability to do most basic things (walk up and down stairs, carry a baby, cook delicious food!) but she suffers for it later on. She has diabetes, fibromyalgia, high blood pressure, etc. She is overweight, but she has also lost a lot of weight. She has finally started watching her blood sugar and taking her medicine, but it’s too late. Her eyes are now bad from the diabetes and she has trouble seeing at night. Whatever age I reach, I want my quality of life to be good for as long as it can be. And when my quality of life dropped, I started hitting my limits. As I previously mentioned, I’ve been dealing with knee pain for over a year now, primarily when going up and down the stairs. As time went on, it became more persistent. I could even incite pain by simply sitting in a chair and lifting my leg until it was straight. This simple extension would cause pain. I was tired of it. I began reading and doing research on various types of knee pain to make an attempt at self-diagnosis. My knees didn’t typically hurt when I walked normal, but they did hurt any time they were bearing weight while bent (or having to bear weight from beneath, as with the leg extension motion). It didn’t hurt on the inside of my knee, but it hurt more on the outside. They’d also been hurting while I was dealing with sciatica (that was fun) so I was doing a lot of research at that time, as well. One thing that was very interesting to me is what I discovered while attempting one of many ways to get rid of my sciatica (not knowing precisely what was causing it at the time). I have a relative who took massage therapy and I called her one day, in intense pain, and asked her if she would be able to try to help. She had me come over and I told her where it felt like the pain was stemming from, where my lower back met my hips. She was massaging that area, but also determined that my glutes were horribly tight. Yes, my glutes. She started doing deep tissue therapy on my left gluteal muscle, which hurt so bad! When she finished, I didn’t feel particularly better (unsurprising, considering that was only one of many problems within my body at the time). However, when I began descending the 3 flights of stairs from her apartment, I noticed that my knee didn’t hurt. I wondered how on earth did her digging her knuckles into one side of my behind help my knee on the other side?! Of course, that led to more research and I slowly began to better understand how our muscles are connected, and more so, how they connect with our joints. Have you ever heard of your illiotibial (IT) band? I certainly hadn’t. It even has its own syndrome. Apparently one of the causes can be weak hip muscles. IT band syndrome wasn’t my problem, but seriously, I didn’t know it existed. OK, the weight thing I get. If you have an injured, weak, anything-but-great joint, the more weight on your body means the more pressure on the joint. That, of course, means more stress to the joint and more pain overall. But learning about weak quads being a possible problem, was a new and fascinating lesson on how the body actually works. You can’t just have a problem in one spot and the rest of the body functions normally. It works from the ground up. If you have a weak x, parts y & z will try to compensate to maintain your balance and function. However, parts y and z weren’t intended to perform that function, so they are strained and it can throw other parts off in an internal, domino effect. If you were home sick from work, and an employee from another department jumped in to cover you, they might be able to get by, but they would be overly strained. They wouldn’t do a very good job, because that’s not what they were meant or trained to be doing. When they couldn’t perform your job well, other people might have to step in and help. Soon, everyone is feeling the extra stress and performing at less than 100% of their ability since they have to continue to do their own job but now they also have to do some of your job as well. Evidently, our bodies are the same way. Hence why people classically throw their back out by lifting heavy objects from their back instead of their legs. Our arms and legs are designed to take the brunt of the weight while our core engages to keep our spine stable. When people try to lift with their back, it puts extreme stress on a part not meant to take it and BAM! Pain ensues. That meant that the first step in healing my knees was to strengthen my other muscles. Quads, core, whatever. I had to strengthen something from my foundation on up. I know there are countless exercises you can do at home – with little or no equipment – that are designed for toning, strengthening, stretching, etc. But when you are fat, it changes things. Being fat, I am incapable of some exercises (until I’m less fat) or I am able to do them but not long enough to feel a real impact. Tire out, sure. But I could tire out prior to getting any benefit. 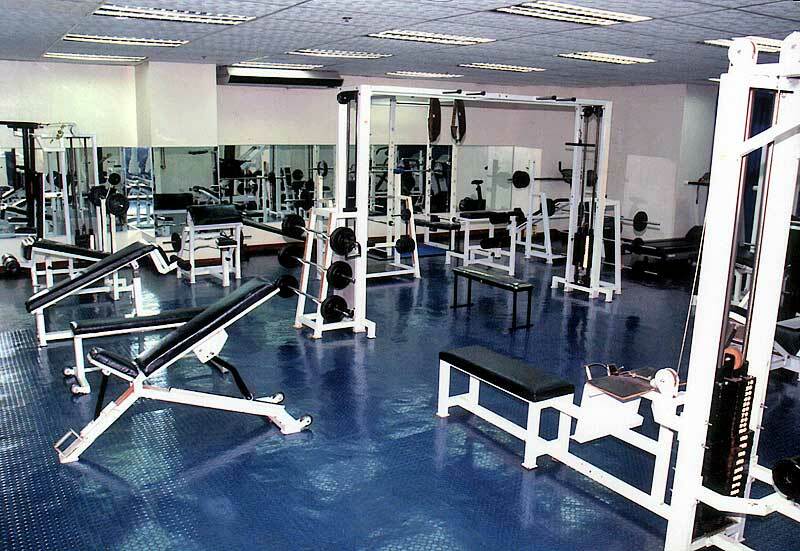 I don’t have a huge space at home to work out, let alone to host machinery like a treadmill or elliptical. But the gym does, and after searching around for a bit, I was able to find one within a reasonable distance from my house and they are super cost effective, with perks! Tanning (though I don’t use that), showers, lockers, sauna, a cardio theater, and TVs at each cardio machine! So that’s how I started. I began going to the gym 3 times a week (starting the day I joined). That may not sound like a lot, but I go for 1-1.5 hours each time. I’d been feeling pretty crappy, beyond just knee pain, and I wanted to do something to get in shape. Yes, there’s walking, but I know how I operate. I’ve walked before, and I tire of it quickly unless I have somewhere to go. Walk to the store and back? Sure. Walk to catch a bus? OK. Walk around the block a few times for the heck of it? Eh, what’s next? If you are thinking, “Well, you may not enjoy it but you need to do it anyway!” then you are right. But that is why I go to the gym 3 times a week. It is more important for me, starting out, to do something that I can and will continue doing and can experience results from. Also, walking was not the ideal method to start out on for me. I can walk, and I can walk but with a goal of strengthening my quads to reduce/eliminate knee pain, but walking was going to be a slower process. I am in shape enough to do a little more than just walk, so I wanted to do that. The gym also gave me clear boundaries and options – I think of it as “a job”. Not “work”, but as a job. If I couldn’t legitimately call in sick to my job, I can’t “call in sick” to the gym either. If I don’t really feel up to it, I can go and bike, walk, do more reps on a lighter weight. It doesn’t matter. Granted, you don’t have to join a gym to get in shape. There are plenty of workouts all over YouTube (a recent favorite: XFitDaily, though a lot of their stuff is NOT for beginners) and elsewhere and any sort of activity is generally good. If you are reading this and you are very out of shape, if even walking is difficult (and not due to pain, like sciatica was for me), then just focus on trying to walk. If you can walk but not for very long, start with 5 solid minutes a day. If you have to start out by taking a 5 minute stroll, that’s OK. Take a 5 minute stroll every day for a week. The next week take a 10 minute stroll. The next week, take the same stroll at a slightly faster pace, and so on. If you can’t walk, do water aerobics. Punch the air for as long as you can hold out. Then, break for a few minutes and do it again. Do anything at all to get some activity. Unless you a doctor is telling you otherwise, you don’t have to rush yourself. I think that’s one of the biggest mistakes that people make and why they end up regressing and putting it all back on. I’ve made the same mistake many times! People think of weight loss as “eating healthy and exercising”, and yes, both those things are involved. At the same time, if you are eating McDonald’s today then it probably won’t kill you if you eat McDonald’s again tomorrow. My goal isn’t to “diet and exercise”, it’s to change my habits and lifestyle – gradual changes. Changes that I can stick with. Changes that affect my day to day and aren’t so difficult or extreme that I get tired of it and give in. You don’t have to change everything at once. That was how I started. And that’s exactly what it is – a start. Now that I have some time to write again, it won’t yet be an update to my last post. If you read the first part of my weight loss program that I’ve began, I mentioned my best friend’s mother. I talked about how she inspired me, in a way, to not let myself get past a certain limit. She motivated me to never go too far down the spiral. I’ve never told her that, since it was more about learning from her mistakes than from her leadership. But I couldn’t tell her now if I wanted to. She passed away earlier this week, in her early 60s. She didn’t even make it to 65. I have been reflecting a lot, but more so, I have been thinking about how my friend must have felt. It’s not my place to give out personal details for either of them, but one of the things that disturbs me most is that she didn’t merely slip away. She was in the ICU for a long time. They tried many different things but ultimately, it was the machines keeping her alive. When they turned them off, she only lasted a few more minutes. Her family had to watch her pass away. It is truly agonizing to imagine watching a loved one struggle to take their final breaths, as their life slips away before your very eyes. Tears begin to well up in my eyes every time I try to envision what those final moments must have been like. Her husband stayed by her side, kissing her and reassuring her of his love. My friend held her hand, crying and waiting for it to be over. Her family was not surprised at losing her, due to her already poor health, but they didn’t expect it to happen so soon. Like with most things, they always thought that it would be next time. But this time, “next time” was now. Without her knowledge, she has once more inspired me – and much more so now – to do something to get myself in better health. For that, I would like to thank her. If only I still could. Let me start with the standard disclaimer: I’m not a doctor, a nutritionist, a therapist, a nurse, pharmacist, etc… This should be construed as nothing more than my personal suggestions based on my personal experiences to date. As usual, consult your physician before starting any exercise program, etc, etc… Use common sense above all else. This is written to and for other fat people. These posts (hopefully) will be the written progression of my efforts. If you have scrolled through a few of my previous posts (well, one of them really, I guess) you will know that I am fat. Well, and I just sort of gave it away a sentence ago. How fat… I do not yet wish to divulge. Let’s just say, I’m huge, but functional. More on that in a minute. I got teased about my weight only twice in school. Both times were during middle school. I was a loner and extremely shy for most of my young life because I knew that I wasn’t “normal” (other reasons for that too, but weight was a primary one). Since I couldn’t wear clothes for someone my age, I often had to dress in “women’s” clothes. If you have ever compared “women’s” fashions to “junior” fashions, you’ll see why that was a big deal (especially when I was of school-age). I was mostly left alone, but occasionally I had well-intentioned family members occasionally trying to tell me what I could do to lose weight. I had multiple people around me who were thin and attractive and I could never compare. In high school, it was as to be expected with guys. You don’t have to be a brain surgeon to take note of what types of girls guys usually are seen talking to and realize you’re not one of them. I was depressed off and on throughout my life and again, other contributing factors to that, but at one point weight was one of the largest (har, har) factors. I remember thinking in my dramatic, teenage mind that no guy would ever love me based on various things and one of the main ones, weight. I felt suicidal at times. Dramatic thinking, yes, but again I was a teenager and I didn’t know any better at that point. Nevertheless, I still obviously made friends (and influenced people?). My best friend is still my best friend to this day, I love her like a sister, and she is a wonderful asset in my life. However, it was her mom who actually and unknowingly planted a thought in my head that I’ve kept for over 20 years now. My best friend’s mom was very large when we were kids (still is/is again). She “couldn’t” do much of anything except walk short distances, such as to and from the car. I found out later that she actually was capable of doing more than that, but chose not to. Nevertheless, being around her stuck with me. I decided long ago that no matter how fat I ever got, I still had to be able to function. If you go back to the previous post I mentioned, you’ll know that I have had knee problems for over a year now. It started when I worked at a job that required me to walk a lot and initially I lost weight. Later on they changed the position and I walked a lot less, but still ate as if I walked a lot. One day, while descending a flight of steps, my knee began to hurt. I didn’t think much of it at the time but I stopped using the stairs. Early last year, before leaving that job and before moving, I developed a case of sciatica. I wasn’t sure at the time that it was sciatica, but I developed pain in my left leg that started around my hip and radiated downward. Sitting, laying, everything was OK except for walking. Walking would hurt unless I limped. It was weird and a nuisance, but it wasn’t intolerable. I didn’t think much of it. The limp stuck around. At one point, I walked around the neighborhood for about an hour and over the course of that time, the limp would go away and I could actually walk normal. I did that a few times, but not consistently. I was also eating out a lot. Much worse. I don’t remember exactly how it transitioned, but within a few months my annoying limp turned into a virtually unusable leg. Pain became vastly more intense constant. It began to hurt when I stood up for any time period. Sitting was better, but still painful. Only laying down was tolerable, and eventually even that was difficult. I am a side sleeper and if I rolled over in a certain position, or moved my leg a certain way, pain would shoot from my hip down to my shin. When I stood, my lower back, hip, and my shin would be in intense pain. My shin would feel like it was burning. My hip felt like someone was stabbing me with a knife. My lower back has given me problems off and on for years, but I think in this case it felt painful too because of everything else going on. And I still had the knee pain. Eventually I got over the sciatica (I might write another post just for that, though it was nothing new or shocking). However, during the time that I had it I couldn’t stand. I couldn’t stand long enough to cook for myself, so I ate out constantly. This was detrimental to both my finances and my health. I still walked with a limp and now, if I stayed on my leg too long it would shake from the pain. I had virtually no other option during that time. When I came out of it, I still had the knee pain and now it was worse. I originally only experienced knee pain going down the stairs. Now I experienced it going up or down them. It was much more preferable than the hip problems, sure, but it was still very aggravating. I developed a bizarre fear of stairs because I knew that it would hurt. It didn’t matter if it was 3 flights of stairs or just 1 lone stair, it would hurt. Eventually I just sucked it up and resigned myself to the idea that it would hurt but I still had to do it. I live around stairs. There are stairs where I live. There are stairs where I work. There are stairs, curbs, sidewalks, and other things to step onto or off of almost everywhere you go. Sure, there is usually a spot for wheelchairs or shopping carts where it is a small ramp instead of stairs, but that isn’t the case everywhere. It also began to hurt when standing up or sitting down. It hurt more often than not, any time I had to use my knees. Quite a mess, right? I know that’s long, but I wanted to give you an idea of just how far down I am coming up from. When I read about people who have 30 extra pounds and are complaining about how they feel, I want to smack them. And then, I want to smack myself. Without divulging my exact weight (yet), I will say that I am carrying a full additional (overweight) person. 30 extra pounds is what, a toddler? Can you carry a toddler? Try carrying yourself. As I said, I am writing this to and for other fat people. I use the word fat because I hate the word “obese”. Clinically, I am “morbidly obese”. But you know, “obese” sounds worse than “fat”. O… B… Even the letters used in the word are fat. The O is like someone’s belly, and the B is like someone standing from the side. Right?? Seriously, is that a coincidence? Does it come from some Latin word or was someone trying to be “cute”? Anyway, I want you to know that I am not some thin person or some athletic type who has never lived a day in your shoes and wants to tell you “It’s easy, just do _____”. Hopefully the person reading this is in a similar boat – maybe not as far out in the ocean as me (or perhaps, even farther) – but someone who knows where I am coming from. Sugar cravings/strong cravings for sweets – you might not consider this a “problem” but when you’re experiencing it, it certainly is! As the title says, this is only part 1. In fact, this is the tip of the iceberg. What works for one person may not work for the next, so focus on what works for you. PS – Keep that in mind since there will be a quiz later! That is the most basic focus and motivation of my entire “program” I’ve created for myself. More on that next time! Enter your email address to subscribe and receive notifications of new posts by email. I'll be your best friend!! What Makes Us Love Someone?